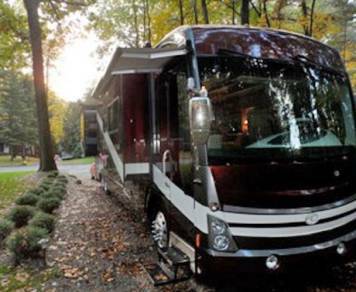 Search, review, and compare the best RV rentals in Utica Rome Oneida, NY. 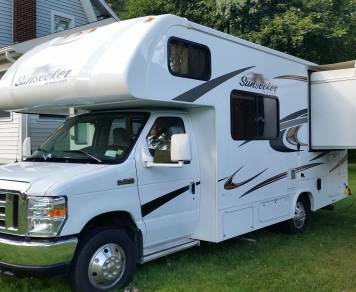 Read 199 unbiased RV rental reviews in Utica Rome Oneida New York. Hank was great. 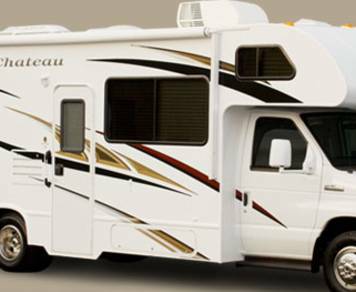 Gave me a detailed overview and instruction on all the features of the RV. We picked it up for a short trip right after Christmas and he had it all warmed up and ready for us. Fantastic value from a friendly owner. Thank you for a wonderful family getaway! We added more great memories on our trip that will last forever! 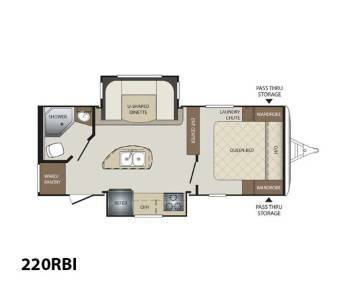 Beautiful, spacious and clean RV. 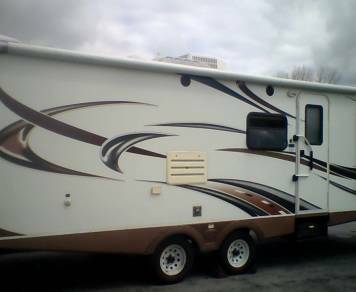 We were first time RV renters and users. The hook ups were easy and the RV handled nicely on the Thruway. We had a really great time! David was great and very flexible with his time to accommodate us! 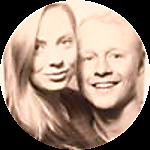 We would love to rent again! Brittany & Brian were super nice and very helpful. 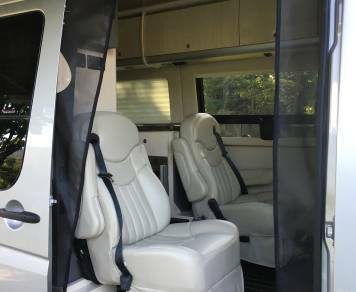 They have an awesome camper with lots of room. We would definitely rent again! 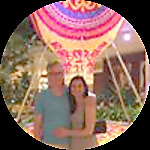 We had a wonderful experience renting from Kate and Barry. The unit was clean, and had everything we needed for a great family weekend! 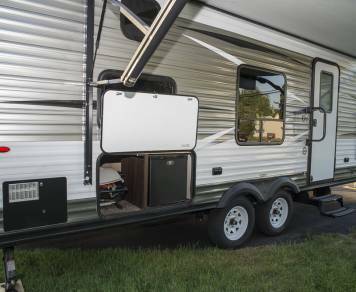 This is a great unit for two people. 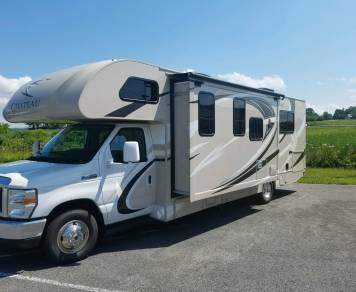 The truck is powerful, the living space is clean and well maintained, and it is easy to handle on the road. 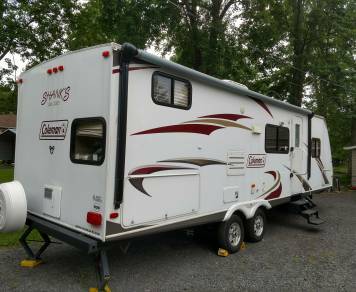 This would also be a good unit for a family of four, but starts to get crowded when there are four or more adults. 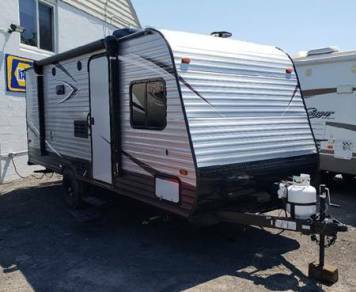 The owner is relaxed and helpful, the unit is functional and reliable -- what more can you ask for? 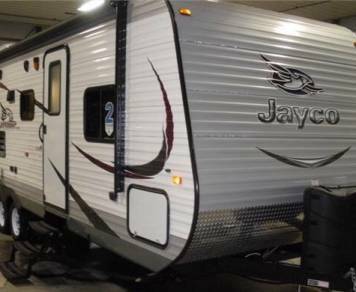 Tom's Jayco Red Hawk is brand new and beautiful. It's easy to drive, and has a beautiful and functional interior. It easily sleeps 5 grown men. 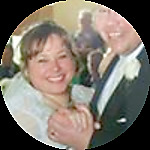 Tom himself is a great guy, very flexible, helpful, and responsive. Easy rapport. Simple pickup and drop off. 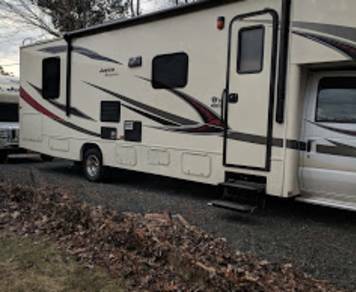 Would recommend highly working with this RV owner to anyone. Robert is easy to deal with and very helpful. We had a great first experience with this rental and will rent from Robert again. Kids loved it and it was a great size for a family of 4. 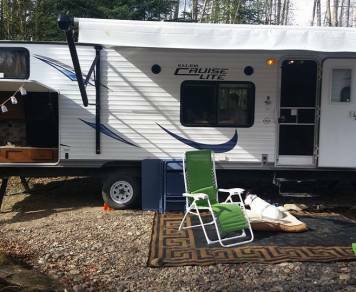 This was my first time camping with a camper and I have to say Eric put alot of thought and effort into setting his Camper up so you have everything you need to have a stress free trip. Everything from a propane Weber grill to plastic utensils, paper bowls, plates, cups ,chairs, axe ect. Eric also goes through everything very thoroughly how to set everything up and break it down properly, also how to to use all the great features it has to offer. He was always on stand by to answer any and all question I had along the way to keep the trip going smooth. 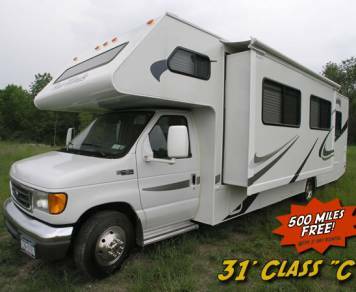 So if your looking for a clean, spacious, new hook up and go camper this ones for you! I cant wait to rent for him again. You'll love staying in this modern, clean camper. 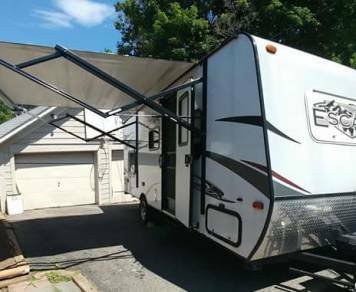 There's plenty of space to relax, cook, sleep, and gather inside, not to mention outside under the canopy. 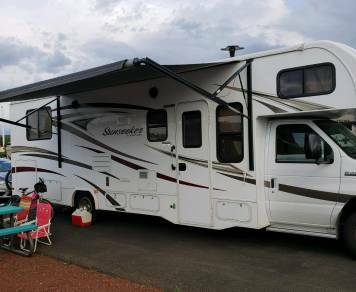 We enjoyed the RV and the entire rental experience very much. 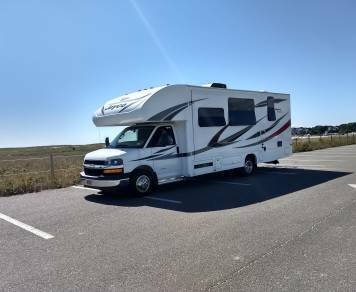 This was our first time renting on RVshare, and the process was very easy. Mike gave an overview of the systems and operation during the pickup. Camper was supplied with pots, pans, utensils, plates, cups, & coffee maker. We didn't have any problems during our week long trip through NY & Vermont. Even the drop off was convenient with a nearby gas & propane fill-up station within a mile of his house. 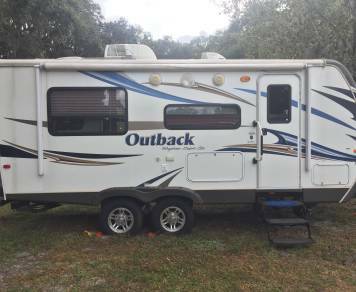 Highly recommend this RV to anyone! We enjoyed this RV for 30 days. 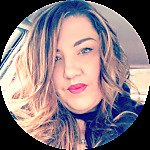 Jessica was very responsive and answered my questions quickly. For those who like cook like us, Jessica provided almost everything such as grill, and cookware. I am very thankful that Jessica was willing to provide some extra items such as flashlight and power extension code so I don't have to bring them as we were flying in to pick up the vehicle. The RV runs very well. The bed was very comfortable as Jessica added a comforter. 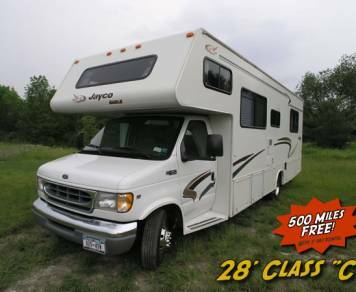 I will highly recommend this RV. Everything worked out great. 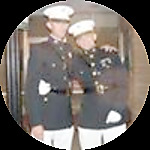 Randy was responsive to any questions and efficient with departure and return. 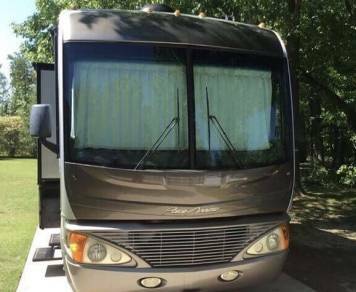 The RV is like new, very clean, stocked with all your kitchen items and even included some amenities like small toiletries if needed and extra towels. Would highly recommend renting this RV. Michelle and Tom were fantastic! They were on top of replying to all my messages both pre and post booking, and even a couple while I was on my trip to answer some questions of mine. So friendly, flexible range of hours for pick up and drop off times. I highly recommend renting from them. Tony and his son was so accommodating and overall added to my wonderful adventure! 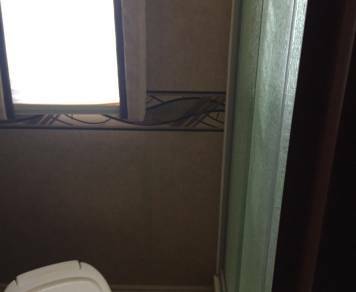 RV was in good shape, and fit our needs perfectly. This was our second rental from Robert, and we will certainly rent from him again. Very easy t deal with, good communications. Loved the RV. I was perfect for my trip. 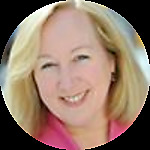 Jeannine is very easy to work with. Very good experience! Camper clean and well stocked. Owner was friendly and easy to work with. Would highly recommend Edward's listing. Randy was great to deal with. I would definitely recommend his camper and/or rent from him again. 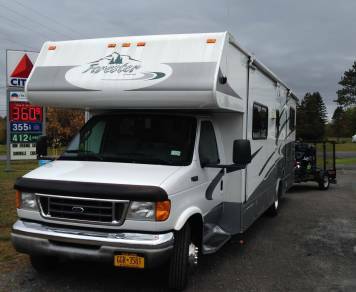 We had a great weekend at Keuka Lake in this wonderful RV. It was my first time driving such a beast and all went well. We had 3 adults and 3 kids with plenty of room. Everything worked great! 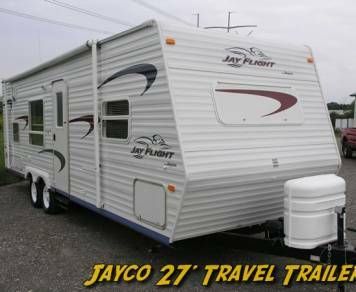 very nice travel trailer, Jim was very helpful and pleasant!!! Great people. Very helpful, communicated well, well organized and accommodating. I had an excellent experience with this rental. 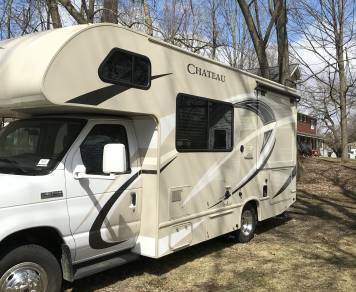 The rv was in fantastic shape and Marguerite was great and very helpful. I couldn't ask for a better 1st rv experience. Great camper! Great people! Nice and easy pick-up and drop-off! The RV was in great shape and ran like a tank. The kids loved the dual expansions. 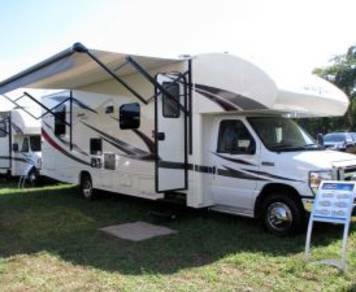 We are already planning our next trip and it will be Robert's RV. good value. very clean. ran well. good communication. Great value! Nick is super awesome and did a great job delivering and retrieved it on time! Definitely a great value. Great communication from owner! Prompt delivery and pickup, will definitely rent from Randy again! 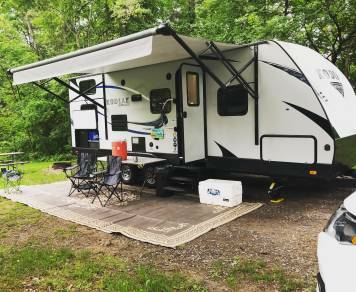 We rented and paid to have delivered to our campsite since our vehicles would not tow...it was a great experience- turn key, just bring your food and clothes. Everything you would need to camp with was in the camper. Truel was amazing, he was quick to respond to either emails or text. 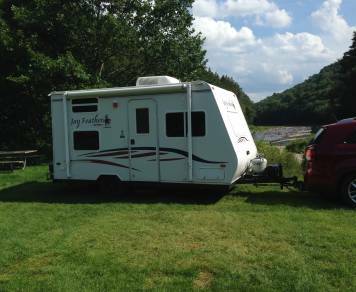 We cannot wait for our next camping trip and we hope it is close enough that can have it delivered to the site again. Overall experience was fantastic. 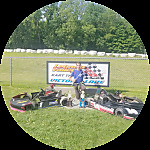 Owner Geri went out of her way to make sure myself and my boys enjoyed their long weekend. Thank you !